The average American moves more than 11 times in their lifetime. And those moves happen for many reasons. 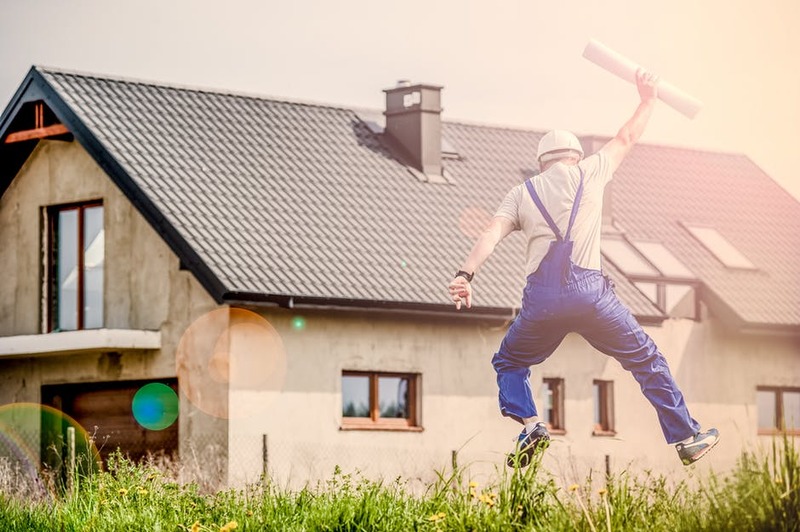 But if you find you’re hopping from house to house just because you don’t like the floorplan, it’s time to do something about it: build your dream home! Building a new house is the perfect way to guarantee that the building has the features, design, and fixtures you want and none that you don’t. But there’s more that goes into building a house than finding the right contractors. It takes planning, time, and patience. Here’s what to know before building a house. Your home construction budget is the most important part of the homebuilding process. If you’re not sure how much you can realistically spend, you won’t be able to get the house you’ve imagined. But budgeting alone isn’t enough. You need to prepare for the unexpected. And the unexpected WILL happen. Instead of maxing out your budget on materials and subcontractors, leave yourself a little breathing room. This way, it’ll be easy to address those surprise changes and improvements. If you budget too little, you’ll have to scramble to find ways to save on building expenses at the last minute. Believe it or not, many people designing their dream homes fail to consider the most efficient way to install the HVAC system. When the system gets installed as an afterthought instead of getting incorporated into the design of the house itself, it won’t work as efficiently as it could. This means higher heating and cooling costs as long as you own the home. And with the average utility bill running more than $2,200 a year, it’s always best to find ways to cut back. Prioritize your heating and cooling system’s installation and design. This way, you’ll know the unit works as efficiently as it can, saving you the most money possible. There’s more to lighting than installing a few light bulbs. You need to think about how the light will impact the room. And nothing helps more than making natural light a priority. When working with your architect, position windows where they’ll get the most natural light exposure. In dark hallways, open up the space by installing skylights. If you have rooms where natural light will be low, create a light plan and pick out high-quality fixtures for each space. Remember, a dark room won’t be as warm and inviting as one with great lighting. Storage space always seems to be at a premium, no matter how large of a house you’re building. But when you think about your storage spaces before the crew breaks ground, you’ll be in better shape. Look for ways to maximize your square footage and storage space. Go vertical with built-in shelving. Build closets or cupboards in what would otherwise be dead spaces, and make sure the storage design is one that fits your needs. Remember, it’s a custom home. You’re free to add features that you want and neglect ones that won’t work for your family. Electronics are a part of daily life. But that means you’ll want to focus on your outlet placement and you may want to install a few more than you think you’ll need. Remember, as technology improves and you start to find new equipment and electronics to simplify your life, you’ll need a place to plug them in. Extension cords and power strips can quickly throw off your aesthetic. And having too few outlets restricts where you can install those new gadgets. Think about how you’ll use each room and plan for outlets accordingly. Every home needs a laundry room. But that doesn’t mean you should install it in a random location. It needs to make sense for your needs. Think about what will make doing laundry less of a chore. Is keeping the machine in an unfinished basement really the best option? Or would you rather install hookups for a stackable setup on the main floor where it’s easier to transfer loads from bedrooms to the machine? It’s really up to you, but be intentional about your placement. Pick a place that’s most convenient. You can always hide the machines behind a sliding door, so don’t worry too much about the aesthetics. When you’re building a house, you have a lot of expenses to cover. That makes it tempting to cut corners whenever possible. There are ways to do this, but you want to be careful. Don’t invest in low-quality building materials, fixtures, or appliances just to save a little up front. Quality matters and can save you money in the long-run. You’ll have fewer issues, less maintenance, and fewer unexpected breakdowns when you pay for the best materials. It’s easy to get caught up in what others tell you makes sense for your house. But it’s not their house…it’s yours. Listen to your gut and insist on what you want in the house. As long as it’s feasible, within budget, and up to code, it shouldn’t be a problem. Remember, you’re the one that’s going to live in the house, not your architect. Construction crews do their best to avoid mistakes. But even the most diligent crews can’t keep them from happening on every job. Mistakes will happen. And it’s going to feel like the end of the world at the time. But as long as your contractor works with you to get things fixed, it’s okay. A few years down the road, you probably won’t even remember those little issues. Just like mistakes, construction delays are inevitable. You can’t control the weather and manufacturers sometimes run out of products right when you need them. So, make a plan to handle those delays. Be flexible, speak with your contractor about possible alternatives, and figure out a way to work around the delays. And if you can’t, be patient. The house will get built. It just might take a few days longer than you initially thought. Building a new house is both exciting and nerve-racking. This simple list of what to know before building a house for your family is just the beginning. Working with an experienced contractor is the best way to avoid any issues and problems down the road. Schedule a consultation with our team today. We’ll help you create the home of your dreams whether you’re building it yourself or want an experienced crew to get it done for you.